O’Keeffe may have created this watercolour for classroom use. 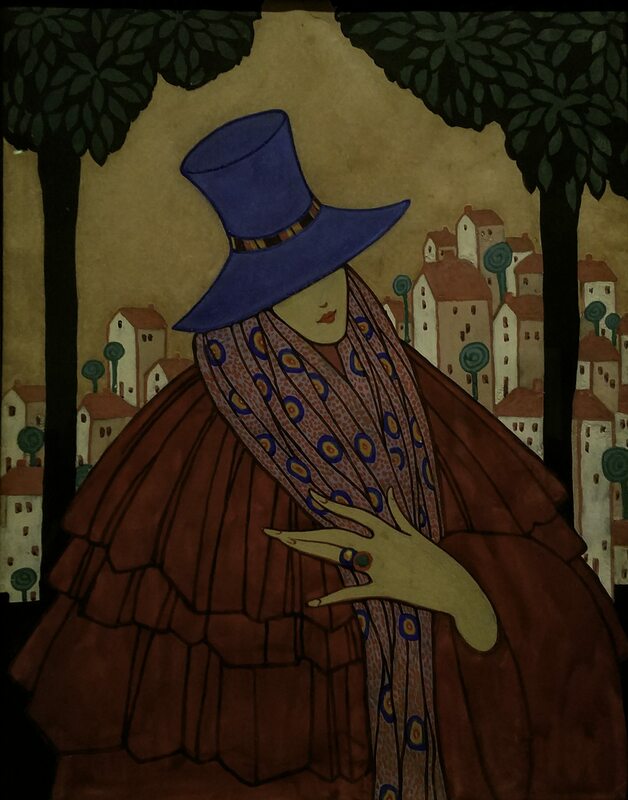 The work demonstrates the application of flat, stylized designs of fashion illustration. In this same period, the magazine Vanity Fair published similar stylized illustrations by O’Keeffe, who was searching for additional ways to turn her art skills into income. 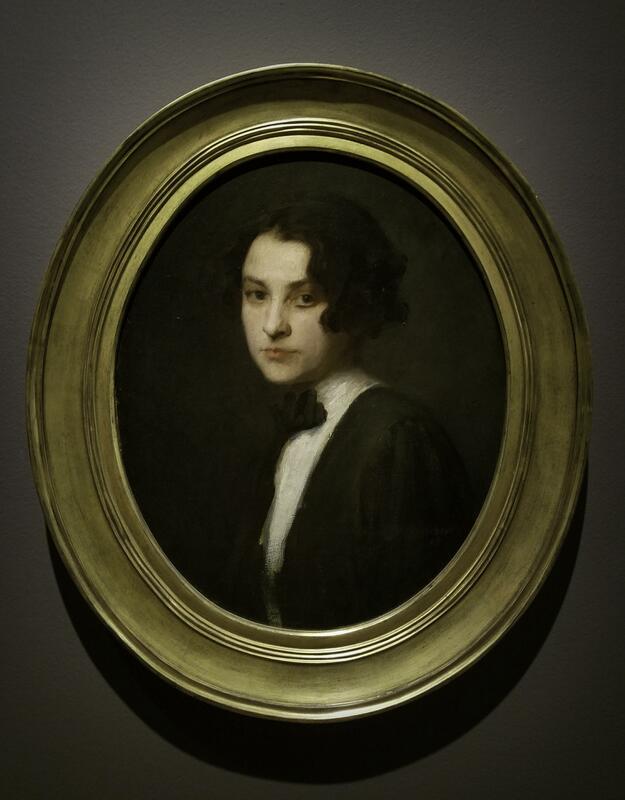 When Eugene Speicher, an older student at the Art Students League, asked O’Keeffe to model for him, she wore a three-piece outfit associated with the so-called New Woman: a white shirtwaist, black skirt and jacket, and black bow at her neck. 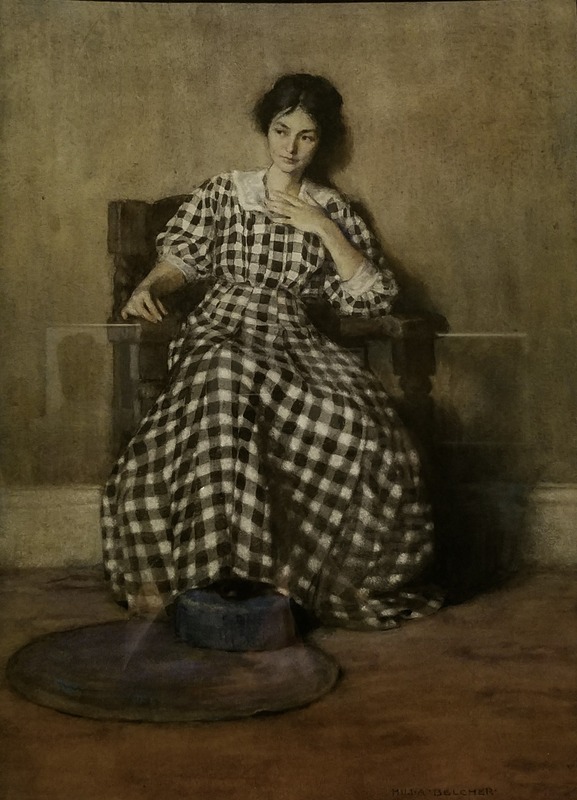 This combination allowed women to move with greater ease than in conventional Victorian dresses and was a style of reform dress widely endorsed by budding women artists and professionals. 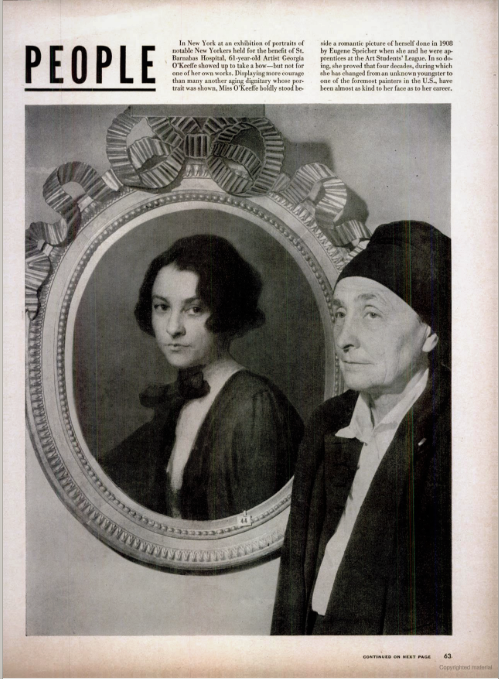 In 1948, Life magazine ran an image of the sixty-one-old O’Keeffe posed next to the portrait (in a different frame), noting, ”she has changed from an unknown youngster to one of the foremost painters in the U.S.” Her personal style, however, had remained the same.